Compatible with most strollers, the Diono All-Weather Footmuff is perfect for keeping your little one warm and dry as you go on your journeys together. 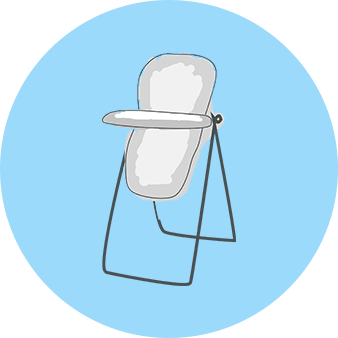 It provides a soft, cocooning environment for your little one from the top to the bottom of the stroller, with the sides of the seat covered and a deep foot section for extra comfort. The footmuff is a full, plush seat lining, with three harness positions so it fits in most strollers and lets you adjust the harness easily so the footmuff grows with your baby. The extra long front apron comes up high to protect your little one from the wind and rain, and the footmuff is also wind and waterproofed to that end, but also features a magnetic fold over section which can be placed over the bumper bar in milder conditions. The front apron of the footmuff can be zipped away, weaving the back and sides in place as a comfortable seat liner on warmer days, and because of the 3-zip system, you can open either side to get your little one out of the pushchair without the front apron dragging on the ground or simply controlling the temperature by allowing extra airflow through the two-way zipped sections. The footmuff is machine washable for your convenience.